Hamas leader Ismail Haniya said Tuesday that an end to Israel's more than decade-long blockade of Gaza was "around the corner", as talk of a possible truce deal intensifies. 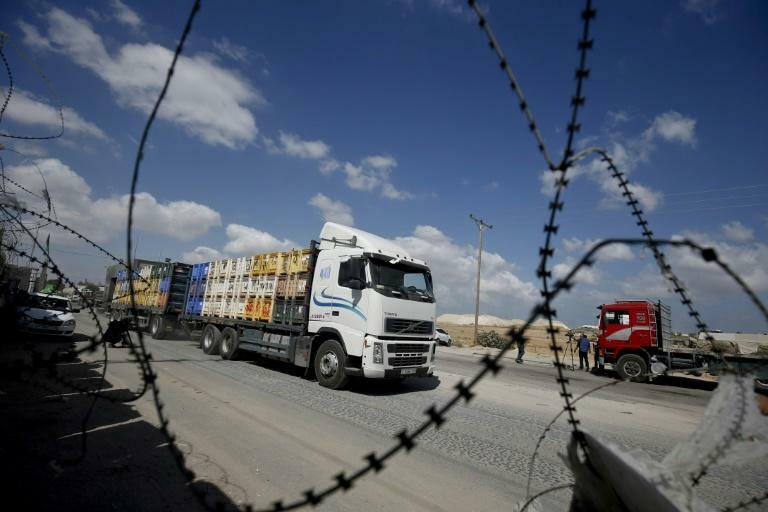 Indirect negotiations between Gaza's Hamas rulers and Israel brokered by Egyptian and UN officials have reportedly included discussion on easing the blockade, but by no means a complete lifting of it. 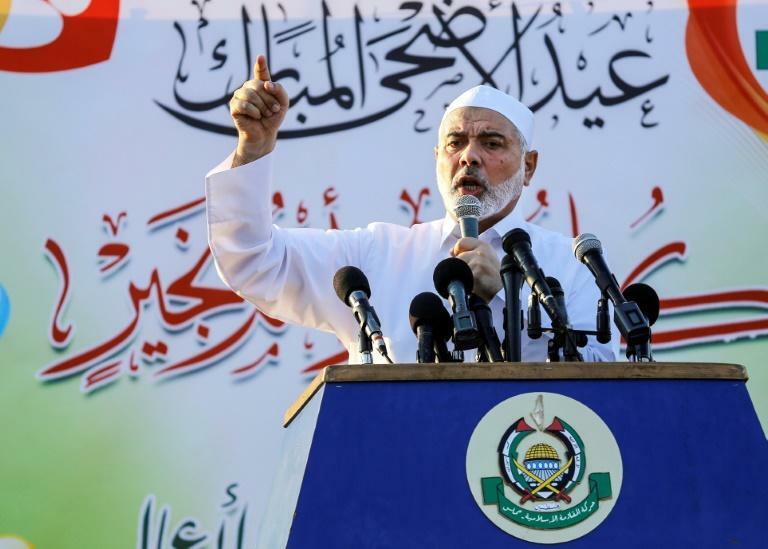 Speaking to thousands of Palestinians during prayers for the Muslim Eid al-Adha holiday, Haniya did not directly address the possibility of a truce, mooted in Israeli and Palestinian media for weeks. "Thanks to these marches and resistance, we are just around the corner from closing the page on this unjust blockade," he said. "We are on our way to ending this unjust blockade of Gaza," he added. He was referring to months of protests and clashes along the Gaza-Israel border, some of which have drawn a deadly response from the Israeli army. Haniya said any agreement would come "with a national consensus and an Arab safety net in order to establish the necessary safeguards to implement what is agreed upon". He seemed to refer to Palestinian president Mahmud Abbas's concerns over a truce that does not include his Palestinian Authority, based in the occupied West Bank. Abbas's Fatah and Hamas have been deeply divided for more than a decade. Two Palestinians were shot dead during border protests on Friday, bringing to 171 the number killed by Israeli fire in the Gaza Strip since demonstrations began on March 30. Israel accuses Hamas of being behind the protests and encouraging Gazans to attempt to breach the heavily guarded border fence. UN envoy Nickolay Mladenov and Egyptian officials have been seeking to broker a long-term truce between Israel and Hamas, which have fought three wars since 2008. Israeli media have speculated it could involve an easing of Israel's crippling blockade of Gaza in exchange for calm on the border and the return of the bodies of two soldiers killed in 2014. The Gaza border has been notably calmer in recent days as speculation over the indirect negotiations has intensified. Israeli Defence Minister Avigdor Lieberman said while visiting a military drill on Tuesday there had been a "dramatic decrease" in incidents on the border. "We are indeed speaking with the Egyptians, the UN and officials in the international arena," Lieberman said. "As far as I’m concerned there's only one arrangement and that is the reality on the ground," he said, meaning Israel wants the Gaza border to be calm. "If you want to reach some sort of general arrangement, the condition is the agreement on the captives and MIAs," or those who have gone missing, he added.